Amazing set for amazing people. 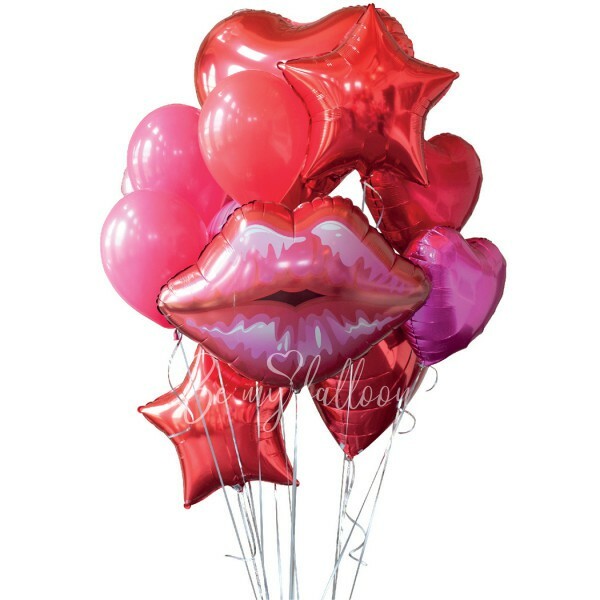 This set will be loved by girls, because it is in red and pink shades and moreover this set has funny and unusual balloon in a shape of lips. The set includes: 1 super shape foil balloon "Lips" 30", 1 large foil heart 36", 2 foil stars 20", 3 foil hearts 18", 7 latex balloons 11", weight.